If you thought ASC 842 Disclosures were just to make the SEC happy, think again. 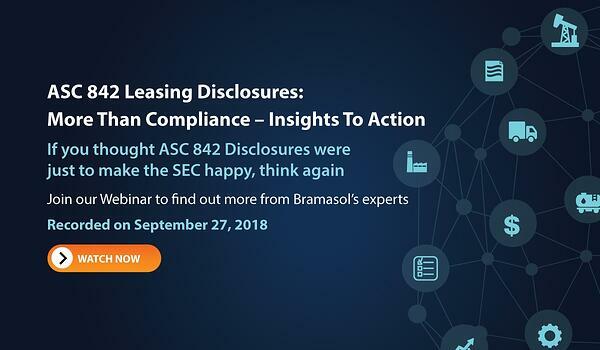 Leveraging Bramasol’s Disclosure reports and analytics on SAP S/4 can provide you with insights into your lease portfolio. Manage costs, understand interest rates and view your portfolios globally so you can have real insights into your leased asset portfolio. Note: video recordings of all Bramasol webinars are made available so you may want to check our resource center if you're unable to attend the live sessions.